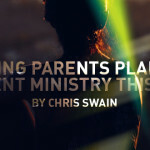 One of the most talked about issues in student ministry over the last ten years has been parent ministry. 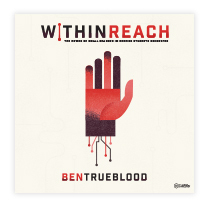 You may be one of the thousands of student ministers who asked the question regularly, “how can I better connect with my parents?” It is definitely a question worth asking and when you figure this question out you will be well on your way to a fruitful and manageable student ministry. Before we get into what we can do to better connect with our parents, lets talk about several things that can keep us from connecting with them. I believe one of the biggest reasons we do not connect with parents is simply fear. I remember being a 24 year old student minister in seminary and wondering what in the world I could offer a parent. At the time I did not have any children and what drove me in student ministry was my love for Jesus and students. As long as I spent time in those two areas I was comfortable and confident that I could make a difference. When it came to parents I did not think I had anything to offer and so the easiest thing to do was to avoid them all together. One of the prevailing attitudes of student ministers that can keep them from connecting with parents is the superman syndrome. What I mean by that is the feeling we sometimes have that we have been sent to swoop in and save the day by rescuing students from their parents. We have all the answers and we are equipped with the truths of scripture so we rush in, throw on the cape and save the day. Really, at the end of the day what students need is more time with us and less time with their parents. The good news is you can be a tremendous help to parents in student ministry. For most parents the teenage years are some of the most difficult times in their parenting lives. There is a great opportunity for you to step in and have a very successful ministry to these struggling saints; but to do that we have to adjust a few things. As stated earlier, it is easy for us to mistake the parents as a hindrance to our mission. Not every parent sees your ministry the way you do and that will flesh itself out in how parents prioritize their students’ time. Instead of seeing parents as a hindrance to your ministry view them as the Bible views them, the primary spiritual developer of their kids! When Moses stood and gave instruction to the people of Israel in Deuteronomy 6 he wasn’t talking to a group of student pastors, he was talking to parents! Parents are given the responsibility to nurture and develop their students in the ways of the Lord. Until we see parents in this role we will always struggle with parents. There is so much freedom when we begin to see parents in their Biblical role. 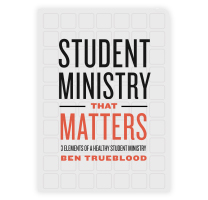 It allows us as student ministers to focus on what we can do to support parents in their role and minister to students as a partner in ministry. Something that all parents need is a good ministry partner. 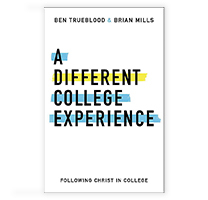 How would it change your view of student ministry if you knew that your job was to partner with parents to assist them in their responsibility of discipling their students? Now instead of assuming the sole responsibility of discipling students you are partnering with parents to assist them in their responsibility of discipling their students. This would mean we would have to think more about how we resource parents. How does our current ministry structure resource parents to disciple their students? As you provide small group Bible study for students how are you resourcing parents to continue that conversation throughout the week? 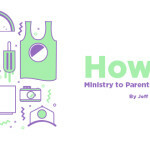 When we view parents as partners we will view our ministry differently. Another way that you can minister to parents is to simply be there. Be conscious about what’s going on in the lives of your students and minister to the parents during this time. Several summers ago I was traveling with my youngest son on football recruiting trips. It took us out of several Wednesday nights and Sundays. It was a long hard summer and what I so appreciated was youth workers who would call and check on us. They would pray for us and encourage us. It got us through the summer. You have a great opportunity to minister to parents through experiences that they are walking through with their students. Your parents can become your greatest allies in ministry if you will view them correctly and be willing to partner with them in their responsibility to disciple their students.